-We sleep beside the whelping box to make sure every puppy nurses through the night and the bigger ones don’t bump out the smaller ones. -We perform Early Neurological Stimulation (ENS) exercises daily on each puppy. This improves heart health and helps stimulate neural development. These benefits last a lifetime. -As the puppies start to walk, we provide them with a customized learning environment using objects of different sounds, tastes and textures. Our goal is to expose them daily to new sights, sounds and smells as we can. -They start on solid food which means we can start clicker training! – The puppies are challenged with puzzles and problem solving exercises as well as introducing them to the other dogs (and cat) in our family. – We continue to expose them to every kind of sound or sensation we can think of, including bird wings. – They spend more and more time outdoors exploring sand, grass and water. – Crate training, collar training and leash training is well underway. – We welcome a variety of visitors who have beards, hats, glasses and deep voices! We also encourage visits from young children. – We start training our new owners and have a puppy party! -Puppies not in their fear period are temperament tested using several testing strategies including Volhardt. 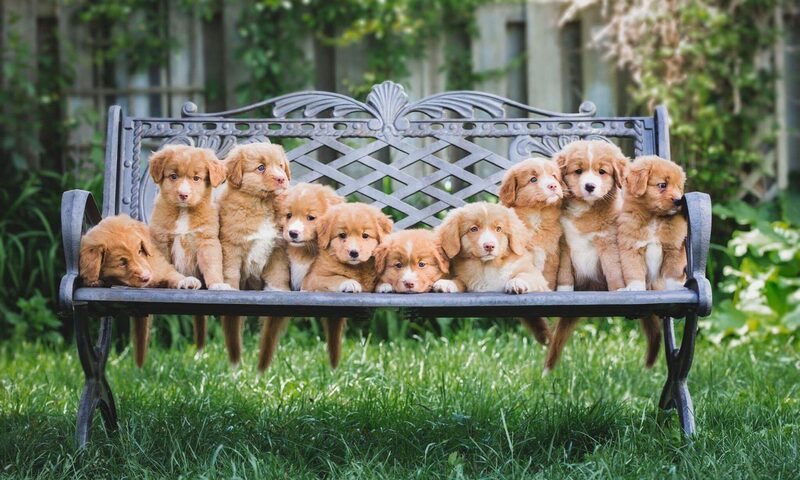 –Our new families are told which puppy they are getting. – Families come by to sign our contract, complete the CKC Registration and get to take their baby home! – Red Shadow provides 24×7 support for our families on an ongoing basis. We provide training sessions, dock diving and charity fund raising events as well as health and wellness updates.